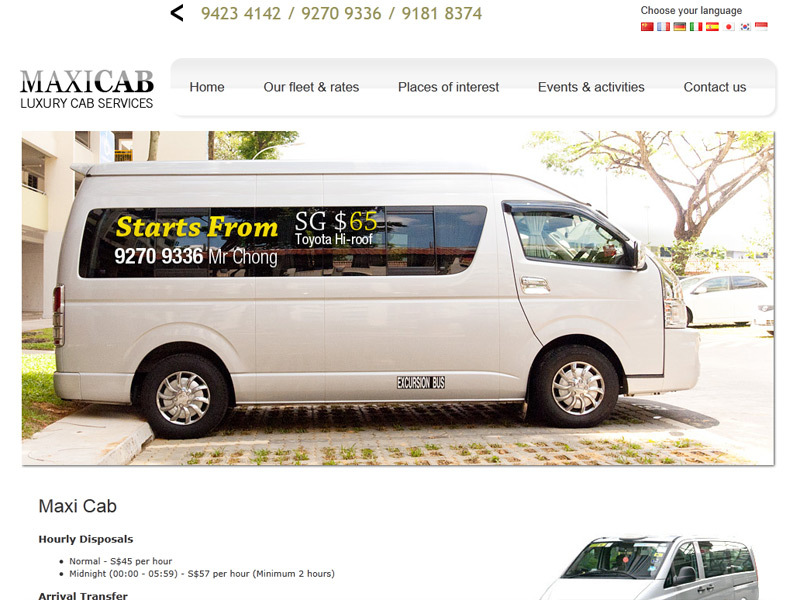 With Maxi Cab, the experience of travelling in style is just a phone call away. 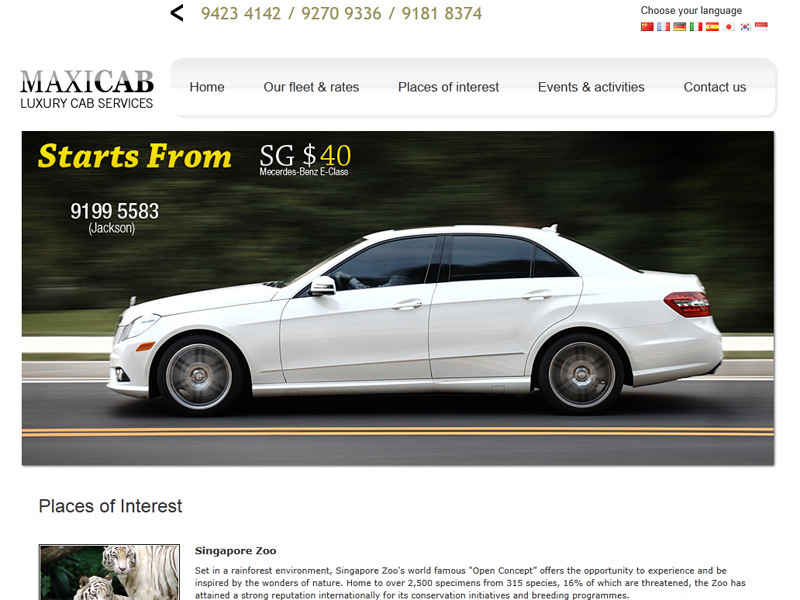 This luxury taxi service is highly popular in Singapore because it provides convenient, comfortable transportation for occasions when an ordinary taxi just won't do. 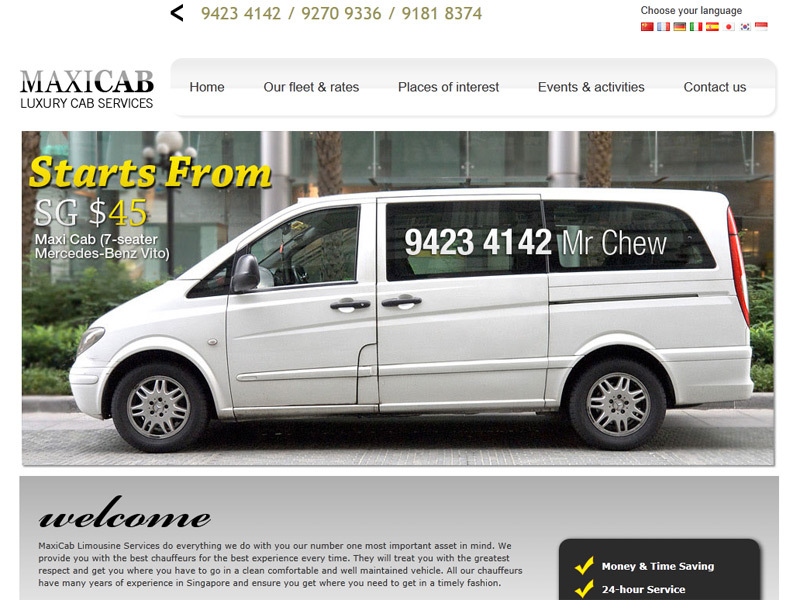 Maxi Cab operates a diverse fleet of vehicle that can cater to airport transfers, corporate needs, event transportation and even taxi tours around Singapore. Our design is built around a smart corporate look to reflect the level of efficiency and reliability that makes Maxi Cab such an excellent choice. Clear, concise information that highlight the surprisingly affordable basic pricing and attractive selling points help convince the audience that the taxi they need is right here waiting for them.